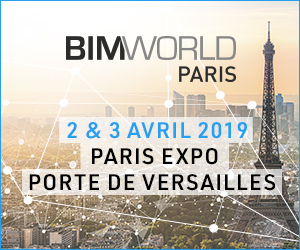 Controlling and sharing information are key issues for the construction industry which must nowadays cope with major changes in the art, such as the project complexity, the eco-design development and new types of partnerships between actors (PPP, Concessions), the obligation to manage risks (anticipation, identification, evaluation, distribution) or the development of BIM (Building Information Modelling). Drawings, notes and records, files have shown their limits. 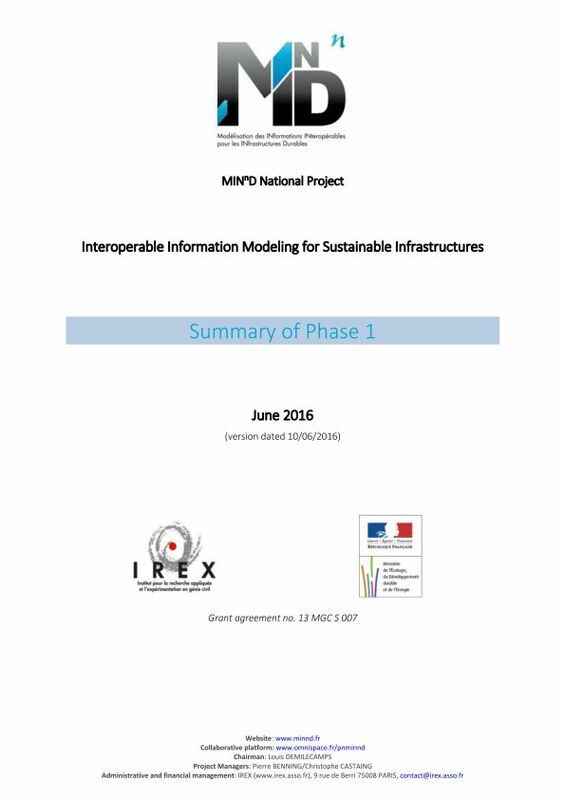 The first challenge is therefore to move to the item that is the finest information by establishing a structure and a standard for information exchange (recognized internationally) and adapted tools, either traversal, such as digital models, or specialized, as tools developed internally by each actor. To meet these challenges, the project program MINnD is structured around five themes. What is a “Projet National” ? 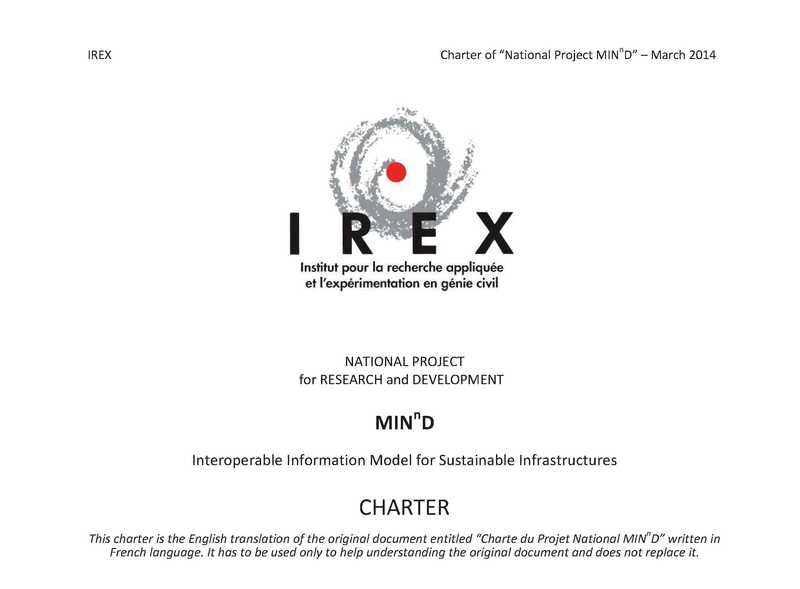 A “Projet National” (PN) is a specific procedure of research and development in the construction area, soutenue by the french ministry of ecology, sustainaible development and Energy, in the framework of the RGC&U . Research program labelised « Projets Nationaux » gather all the stakeholders of the construction sector: owners, engineering, contractors, industrial companies, public and privates laboratories, universities, Grandes Ecoles.